How Are Your Earnings So Far? Take these two polls and see how you are doing in comparison to other users on HubPages. Data is archived for future reference. Are your Hubs worthy of acceptance into online affiliate programs? Here is the new lowdown on the brand-new HubPages Ad Program, from the view of one who was invited to the beta test. There are a few simple things to do to help ensure you get accepted to AdSense, but they need to be done BEFORE you apply. Great product selections from a trusted online retailer. More Hub-building advice from Rae, including how to boost your HubScores. Videos are a great addition to Hubs, and can even earn you some cash. While some people are here at HubPages for the joy of pure writing, many Hub authors hope that their writing and Hubs will earn them some money. Web writing can be a source of secondary income which earns alongside other work, or it might be your ambition to break from a regular day job and support yourself entirely with an online career. I decided to the second option a try to after about six years of as much effort as a day job, I'm free of a regular desk job, a time clock, a dress code and a general schedule. Now take a moment and go back and read the part of the previous sentence right before you get to the first comma. It took me a few years of making content before I was making anything close to a living by writing online, and it still takes up as much time or more than a regular day job where you work for someone else and get a regular paycheck. if you haven't got patience and aren't willing to put in the same amount of work that you'd put into a regular job, online writing will most likely stay a hobby for you. I started at HubPages just as they were coming out of their beta phase in the summer of 2006. I didn't really get going with the site until December of that year and I've gotten to see a lot of changes along the way. My number one piece of advice is to forget about how you write for other sites or systems and learn how HubPages works and what the rules are here. This site is not like having a blog, it's not like writing for other content sites and it's not like writing for your own website. I learned by trial and error, and you'll have to go through some of that on your own in order to learn what works best for you and what your strengths are. Not only that, but over the years the rules have changed and you have to be willing to not only keep up with knowing what those changes are but you may have to be ready to edit a lot of Hubs on short notice. There are a variety of ways to earn money built into the HubPages system and I'm going to talk about the following on this Hub: HubPages Ad Program, AdSense, Amazon, eBay, and Referrals. Nothing I'm going to talk about here is a revelation or some sort of special trick, it's just plain common web sense, but a lot of people have a tendency to overlook the simple stuff. How've You Been Doing On Your Own So Far? The above poll reflects data from August 2011 going forward. The dollar earning options were adjusted slightly, as were options for the question on membership time. If you have an active account and are making Hubs on this site, please answer both questions, thanks! From mid-August 2011 to early August 2012 there were 587 users who contributed to the poll. The image shown here is a snapshot of that poll taken right before the poll and parameters were reset on August 11, 2012. 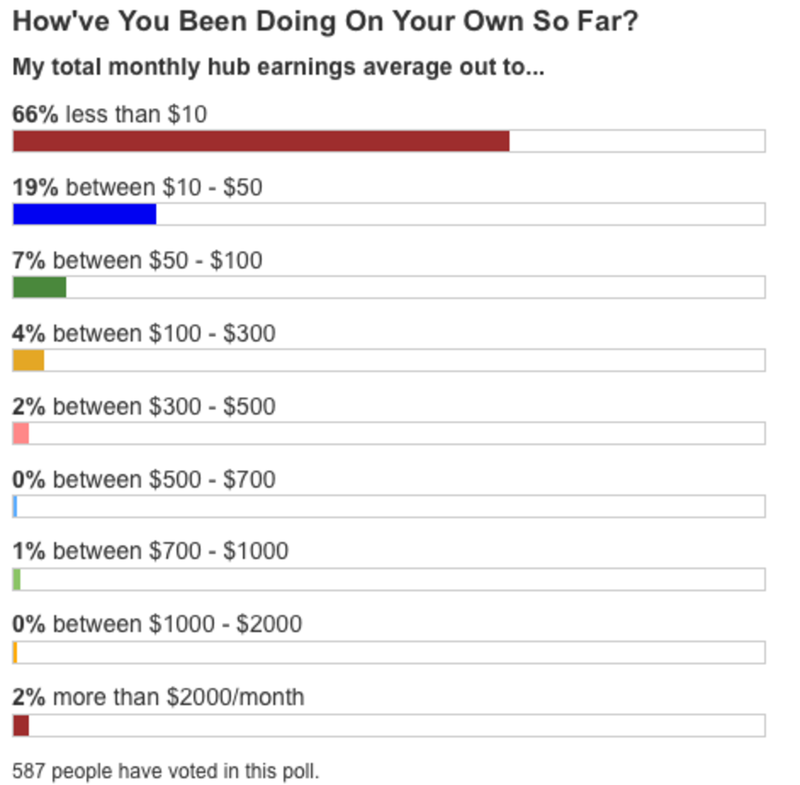 As you can see 66% are still experiencing monthly earnings of $10 or less. That's up from 55% from last year and matches the stats from 2009-2010. The 2011-2012 stats have just been tallied so the figures shown are starting fresh as of August 12, 2012. Are you writing about things that bring traffic and sales? If you're trying to earn here it really helps to write about things that incorporate a buying angle. Notice I did not say you need to write commercials or flog products in people's faces. I tend to write about topics I really know (i.e. life-long interests or things I studied in college or graduate school) and then make targeted recommendations for products which support what I'm writing about or which I would buy myself. I think a lot of web writers totally blow it when it comes to making recommendations. If you wouldn't buy or use something yourself, why would you expect your reader to want it? Are you worth the affiliate's time and energy? More and more in the forums, you'll see posts from new Hub authors who made a Hub or two or maybe even a dozen, and then applied to the affiliate programs and got rejected, and now they need to whine publicly about it. Their personal outrage and insult are a tad misplaced. If you get your application rejected, don't just get angry, take a serious and concrete look at the situation: are you a worthy affiliate program applicant? If you don't have an established web presence (a decent breadth and depth of content) you aren't going to be earning the programs any money, and that is, after all, why they want people to join their programs. Having been a member of HubPages for a few months allows you to fine tune your Hubs. And solid Hubs with traffic and reader interaction seem like a good bet to the people deciding who gets to be an affiliate or not. Think about what you are doing because to the affiliates, you are running a business that wants to be associated with their business. That's why those applications ask about your business model. I think that's where a lot of Hub authors fail in the application process to the affiliate programs. "I want to make money" is not a statement that shows you have any clue about running a business or meeting customer needs. There are two things you absolutely MUST have in order to participate in this program and that is a PayPal account and an AdSense account. HubPages only issues payments via PayPal, and the in-house advertising program incorporates AdSense so without both, you'll quickly find you have very few options for earning on this site. As eBay has been incorporated into part of the in-house programming, you'll be shut out of being able to use that too if you don't qualify for all of the above. As with many other programs on this site, HubPages does the bulk of the work for this program. The big difference here is that instead of having to sign up with an external affiliate, these ads are sold directly by HubPages and the payments will come directly from the site itself via PayPal. There are two things you absolutely MUST have in order to participate in this program and that is a PayPal account and an AdSense account. HubPages only issues payments via PayPal, and the in-house advertising program incorporates AdSense so without both, you'll quickly find you have very few options for earning on this site. Using what I can only presume is YieldBuild technology (since YieldBuild owns HubPages), the new ads are optimized for your Hubs and placed, so you don't have to do anything except build really solid content. Please note, by using this program, it will cause a very significant drop in your stand-alone AdSense revenue stream. Reporting is for the most part once per day. Sometimes the affiliates involved don't update on weekends, so neither can HubPages. Holidays can also delay reporting. Delays happen CONSTANTLY so be ready to just put up with them, as HubPages doesn't seem to have any way of effectively dealing with this. There is no break-down of earnings by Hub, just an aggregate total for the day. There have been several "tweaks" to the site post-Panda, including a shift in page layout, so how the program performs now and how it was doing pre-Panda is going to be different from that too. What you see above is a chart made after a thread came up in the forums talking about how the US holiday weekend for the 4th of July celebrations is one of the worst weekends for traffic over the whole year. While the thread was talking about comparing the 2014 holiday weekend to the one in 2013, I decided to show the same weekend for all the years since HubPages started their own in-house ad program. 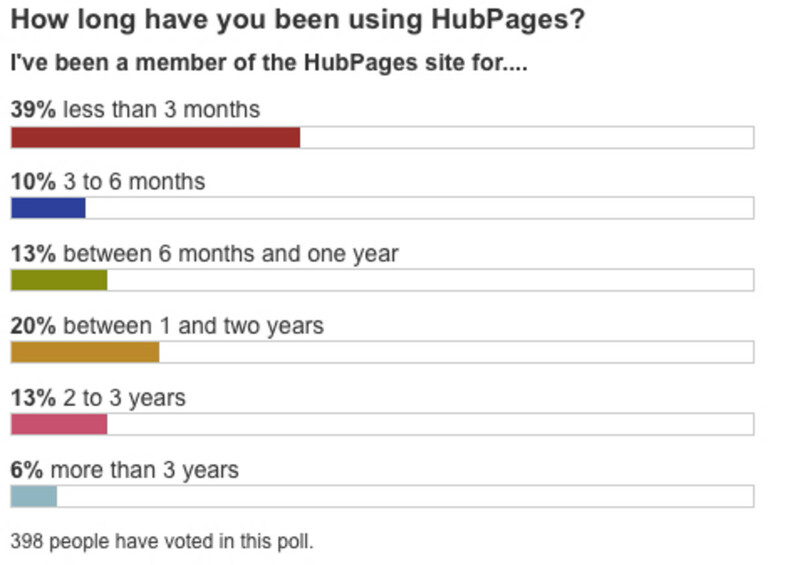 July 2011 was still pre-Panda, and it was ahead of HubPages historical peak in registered users (which was approx Jan 2012) and Hubs (April 2012). 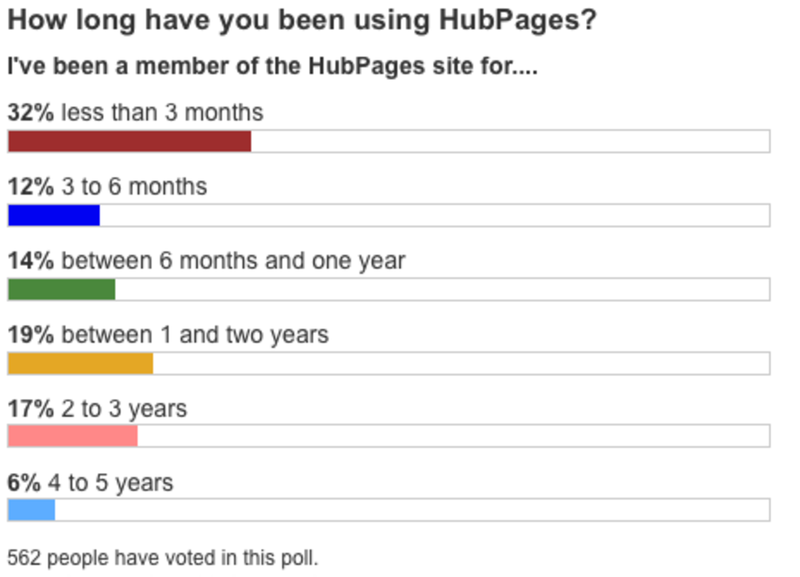 Since the summer of 2012, HubPages has been actively shrinking in size and you have to keep that in mind as you look at data over the last few years. While I saw impression rates come up in 2014, the CPMs have done nothing but drop. I know from my experience at HubPages that I get results that are significantly above average here, but not the best one can do. So this data says to me that writer still can make "good money" here, but the pool of people doing so has shrunk and it takes a lot more targeted effort. Chances are those people saw their pool of high-traffic Hubs tighten up a bit, but probably have some pages which are well-established (over three years old) which are the core earners. As I said above, if you want to participate in the HubPages Ad Program, you need to have a valid AdSense account as the in-house advertising program incorporates AdSense. If you already have an AdSense account, you can run just AdSense and opt out of the Ad Program, but you can't do things the other way 'round. There seems to be a significant number of new Hub authors who are reporting not being accepted when they apply to Google's AdSense affiliate program or who find themselves rejected before too long. This is often a simple case of not putting in the basic work or reading the rules. 1) Read the TOS - Due to a rather large rise in the number of fraudulent sites that are submitted to AdSense wanting to join their program, Google has put a mandatory waiting period on a variety of countries, such as India, China, the Philippines and territories where they are finding a lot of web fraud. 2) Read the TOS again - There are some serious things which are forbidden by the AdSense TOS. And if you do get an approved AdSense account and then violate the TOS, it's almost always permanently lost forever. 3) Publish some content before you apply for AdSense. Over the years that it has existed, Google has slowly gotten pickier about who and what they accept to their program. Not only is it now crucial that you have some content up on the web, but it helps if that content has been there for at least a short while. This doesn't mean just one or two Hubs, it doesn't mean a good two dozen (although it once did), it means make sure you get 50 Hubs published and running for a couple of months. Then apply. 4) Make sure you have quality content - With Hubs, the best way to guarantee that you have quality content is to get your Author Score (the number that appears on your avatar) over 75. That's the nofollow/dofollow threshold. If your Author Score is below that, HubPages considers your content to not be very good quality and they mark all outgoing links on your Hubs as nofollow. That also communicates to Google that HubPages doesn't think your Hubs are very good and they pay attention to opinions like that. Amazon is one of the kings of online retail. What started out as an online book seller has branched out into just about anything for the home, inside or out. To sell items from Amazon on your Hubs, you now have two options. For one of them, you are part of the in-house Amazon program, and you will get calculated payments based on earnings from a pooled tier, most likely higher than what you get on your own. Or you'll need to sign up as an Amazon Affiliate independently, and enter your affiliate ID into the HubPages system. None of the tools that Amazon offers will work for adding links for products to HubPages. Here you use the built-in Amazon capsule, which has been expanded and improved since HubPages started. You can pick items by selecting keywords, choosing a department to narrow the search (or not) or you can specify exact products listed on the Amazon site. I think the more specific the recommended items, the better your chances of making a sale, so I tend to hand-pick the items I'm recommending. There is also a spot where you can enter a brief description of your own instead of just showing a picture and price for the item selected and this was a feature I actually requested when I visited the HubPages office in October 2007. This lets you highlight exactly what you like about a product or why it's so great, which is what people tend to do in real life when talking and sharing info with friends and family. How Do I Sign-Up for Google Adsense on HubPages? 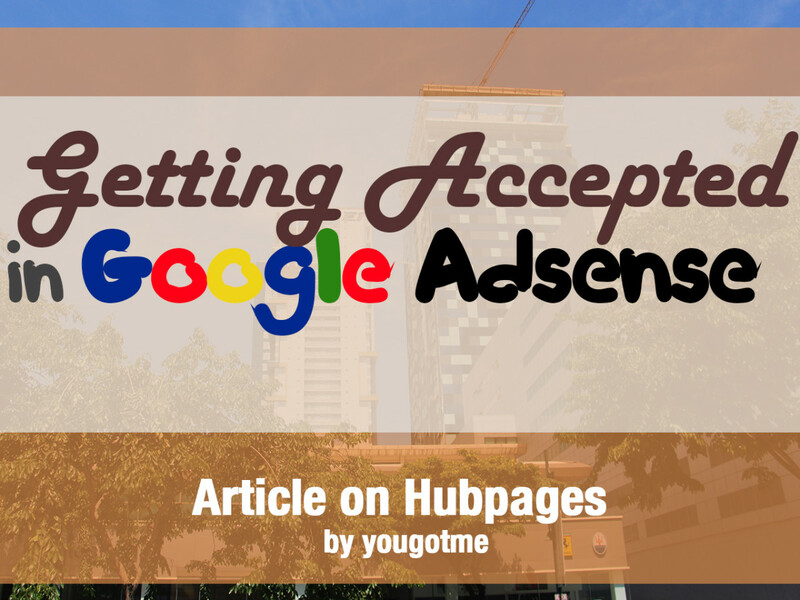 You will require this to join the HubPages Ad program, but make sure you have several dozen good Hubs that are a month or two old in order to better guarantee acceptance when you apply. This is the most profitable source of revenue for the majority of users on the site, but you'll need both an AdSense account and PayPal to use this. You no longer need your own website to become an eBay affiliate, but you will need to meet all the requirements of the HubPages Ad program to join one too. Amazon offers a lot of different products to go with just about any sort of Hub you might want to create. It is the only retail program not bundled into the in-house ad system. What really draws visitors to your Hub is the writing, not the shopping. You want to have a minimum of 600-800 words (check your Hub metrics) to really give a Hub info potential. Try to have at least one text capsule for every retail capsule. Offering a few really important, closely-related items to buy is much more realistic than lots of things. In the sales world, some people try to sell a million $1 items, and some try to sell one $1,000,000 item. Look at your Amazon and eBay sales reports and see if there's a "price point" (average $$ amount) that visitors seem to spend. Offering items up to or just above that price point can bring more sales than offering very expensive items and hoping for that one big sale or offering items so cheap the sales commission is just pennies. Just about everyone has some familiarity with eBay. It is an auction site where just about anything can be sold or bought. As when making other retail decisions, you want to pick items that directly relate to what you are talking about. You get two options for how the eBay capsule picks items to display: keywords or seller ID. If you are an eBay seller, by all means write up some relevant Hubs and link them to your auctions. You'll be able to drive viewers and sales right to the items you're selling. To make the keyword selection process work better, be sure to take the time to optimize the keywords. This means playing around with different keywords to see what products are selected. Most often you'll want to use three or four keywords to get the best items. Try different words and combinations and see what different items show up. To make sure a keyword is included put a "+" in front of it, and to eliminate products that aren't quite right, put a "-" in front of specific keywords you want to remove. The eBay program here on HubPages changed in 2011. It used to be that you couldn't get accepted as an affiliate unless you had your own site. However HubPages negotiated a site-wide deal with eBay and they now handle all the administration and payouts. 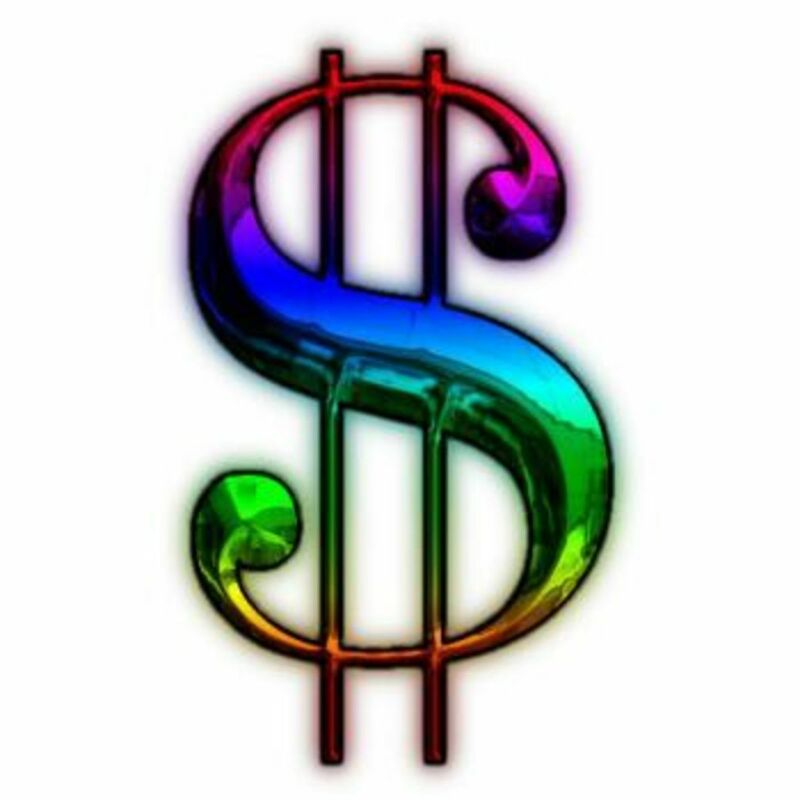 So you can get into eBay with just your Hubs, however the catch is you can only get paid by HubPages if you have a PayPal account. Knowing the rules and guidelines for allowable Hub content helps make for better Hubs. Learn what it means to have a Hub flagged and unpublished, and how to fix it. 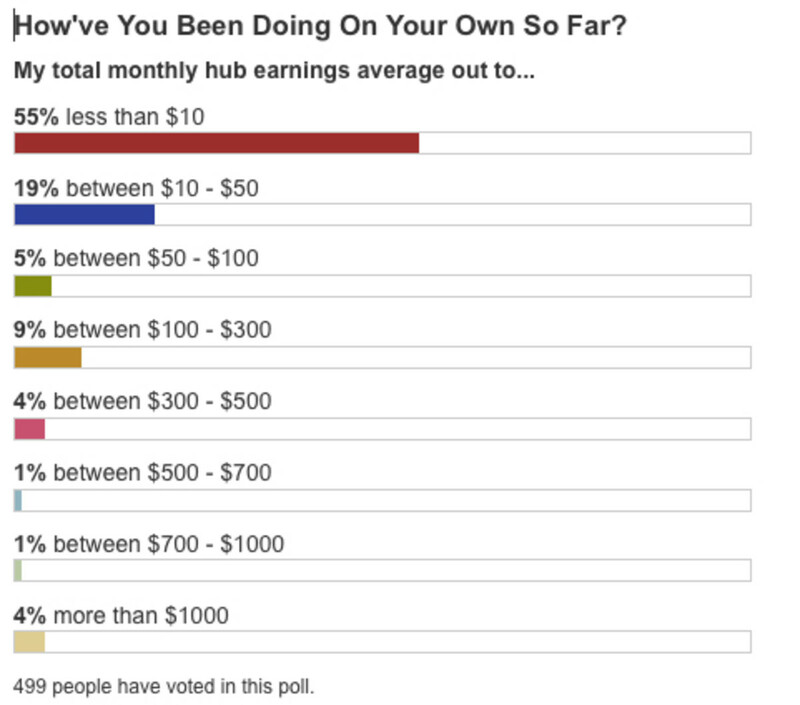 If you've made some Hubs but are wishing you could make them even better, here are some suggestions for increasing earnings potential, marketing yourself better and fine-tuning your Hub experience. When a new or established user of HubPages complains that their Hubs are tanking or that "something's wrong," it's often due to something they did themselves. Take a look at the 10 biggest mistakes that HubPages' users make regularly. So, did any of this info help you with your Hub earnings? Quite helpful hub for newbies! Solaras, there is no benefit or logical reason for me to now restate the things I have been saying for years about the content on this site. And as for your questions about my future plans, they are already in motion. You are asking about things you think are about to happen and I am talking about something I decided on and began to first put into action two years ago. BizGenGirl, HubPages has a long history of making less-than-stellar decisions. I have email going back to a year before Panda where admin is insisting that g-strings and hand bras can't possibly be objectionable content. That was when this site slipped behind the eight ball. The bubble swelled, and popped, just like any other boom-n-bus cycle. This site is an exact illustration of societal collapse, and all the attendant modes of thinking. That's the whole reason I am here now, to watch the predicted model play out at a level I can observe and comprehend. At this point, unless HP gets back to the point where they're writers (us) are valuable and not just assets, then like all the other sites, it will fail. I've been around long enough to see it happen. I used to have 1000's of articles on the web, but more than half of them have been lost because the business models changed and the sites shut down. They didn't even transfer to other sites, they just closed and all that work disappeared. Hp is going in a similar direction, and for whatever reason they think they'll get a different outcome. They won't. In fact, what they are doing fits the very definition of insanity - taking the same actions again and again, expecting a different outcome each time. My hope is that they'll prove us wrong and turn it around and get back to being their for us, but I'm not going to hold my breath waiting for it. Relache - You have been a powerful force in directing newcomers and seasoned veterans to the rules of HP and internet publishing at large, as well as setting reasonable expectations of a site like this. I was hoping, if you had an idea of a strategy that you would like to see go forward with HP, that you would share it. I think it would make for a powerful discussion, and at the very least might be useful to the community as a go-forward strategy. Whether here or elsewhere. I must say I am distressed to see you give up on the site as a profitable venture. Is your plan to leave entirely or will you leave some content as part of an overall internet strategy? @Solaras, I am baffled by your statement that I am integral to anything having to do with the site. And the point I am making is that I do not think the site can make itself viable for the future, period. I've been reading about societal collapse, and a guy named Dimitri Orlov laid out some interesting models,...and how HubPages is dealing and/or nor dealing with changes follows his model for the larger US economy. That is to say, it exhibits every sign of impending collapse. But it functions on a smaller, more graspable scale for observatory purposes. In relation to your last three comments - Yes, Yes and Yes. Times have changed - the business model does not work any more. It really doesn't matter how big a site is - it can still disappear. Rearranging the chairs on the deck of the Titanic did not stop it slipping beneath the waves. I think writing still works - but only if you do for yourself and then find what connects with others. I'm now approached by Editors and publishing houses to write articles for magazines and books for a fee - and that works for me. However I get that work via writing my blog - not because I've written for Squidoo and now HubPages. My recommendation to people is to build your own sites - create your own asset for yourself not somebody else - and then see where that takes you. I would hate to see you leave. You are an integral part of the ongoing success of this site. Please consider chiming in on the Forum "Who is HP's Competition." I would be very interested in you sharing your thoughts on where you think the site should be headed to make it a more viable enterprise for the future. I like the analogy! It's the rearranging the deckchairs thing, I guess. Point taken! When you study societal collapse, there's a point where genuine action to resolve the crisis requires radical action, which means going to the root of a problem to change what causes it. HubPages has, for several years, been engaged in repetitive symptomatic actions that give the illusion of addressing the problems of the site. There are no sites which consider authors anymore, just content creators. In short, we are just a commodity to be consumed, and I can not recommend that anyone turn themselves into a disposable asset. There are no sites that view writers as a durable good, it's time to go find other pursuits. Wow Relache, coming from someone like yourself, that's quite a statement. I am also pessimistic about the earnings potential of HP, but I'd be interested to know the reasons for your conclusion. Yes, it's been rather dower the last few years on hubpages, though I hope they'll turn it around somehow... Well, it was great to write with you here while you're still here. Are there any new sites that are treating authors better, that you'd recommend? I not longer feel earning on this site is viable, nor that the site even has a survivable business model. This content will be removed soon. If you are writing here, do not ever expect to give up your offline work. Those days of earning here are over. Great tips! I am still under the learning phase. 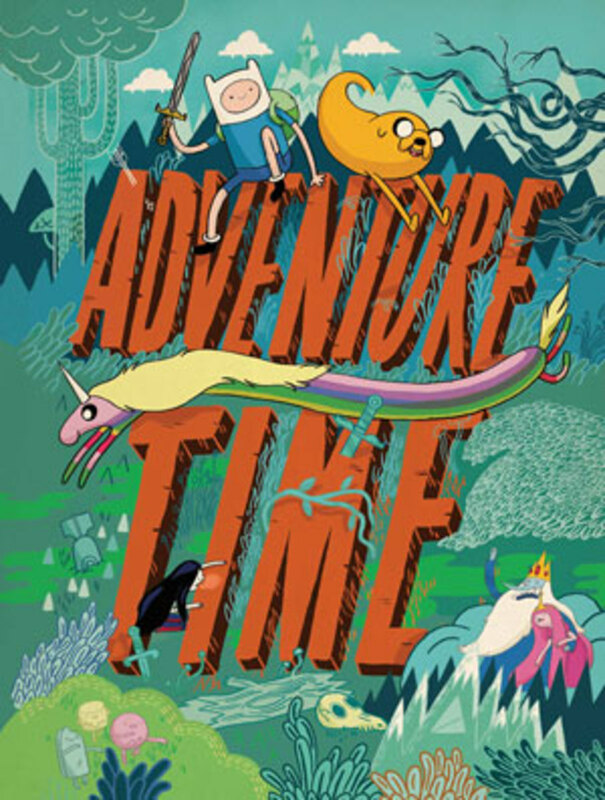 I know it may take some time because of my present full time job. I am also dreaming of giving up my offline work. Thank you for sharing wonderful hubs. Yes please Relache! If you PM me when you're ready, I can create a thread in the forums - as you know, you're not allowed to promote your own Hubs, but I can mention someone else's! Being a newbie transfer from Squidoo, busy learning the ins-and-outs of my new world here at HubPages, I found this page very helpful and am bookmarking it for future reference. Thank you. This is an excellent hub. It includes EVERYTHING a newcomer needs to know about money and Hub Pages. It makes the information readable and easy to understand. I've been on here for a few months now and have been "feeling my way around the dark" - especially when it comes to AdSense. Now that I finally have an account, I can use this information to improve and make the right moves. Voting up and sharing! DH, for sure, the money here takes a LOT more effort than it did in 2010, and people have never seemed to grasp that the web is constantly changing. The folks that garden in reality do better here because they understand how you always keep tending and adjusting and it never stops. Great tips, I came in with just 47 lenses and got Adsense when I had just one website on my own domain. I wish I had known then what I know now. 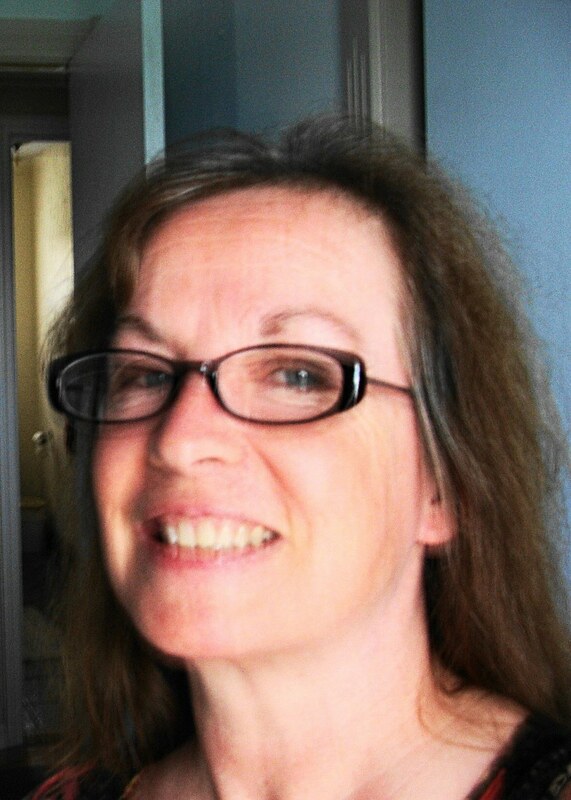 My lenses have got me a Hubber score of 86 but it appears to be rising. I still fall in the low income group overall, but I have earned over $300 while eating breakfast once. I hope people take away from this that it is hard work writing helpful informative Hubs and it is quality not quantity that works. Just keep writing quality Informed articles that are original on what you know. Add in products that you use to do what it is you are writing about so they seem like part of the story. Use your own photos and video whenever possible. No real secret, do not waste time watching statistics, they register way too slowly. Only once you make some money check them for that Hub and reflect on how you make your others more like it otherwise score and statistics are a big waste of time! Voted jp as useful and interesting good hub Relache. ThreeQuarters, most people ONLY get taught those things in elementary school, and need it repeated later in life as friendly reminders. Thanks for the tips, they are really applicable to just about any writing, don't just throw products out there, have a purpose and tell someone why, weave a story around them, give the viewer options on how they can be used and why they need such item. Rules to good writing learned in elementary school. Yeah good point, irrespective of the reason they get snipped. When I first did this, you could promote Hubs in the forums, and so I got a LOT of participants which made for really meaningful data that represented the community. But over the last few years, you can't do promotions, so the participants are fewer and the data isn't representative of the community at large. And there's no point in gathering bad data. Most likely this Hub will get reworked or archived. Hey Relache, when's it going to be time for an update here? I mean renewal of the polls. I thought it was August. Voted 2 years was looking forward to doing it again. Just remember, earning online can change without notice. 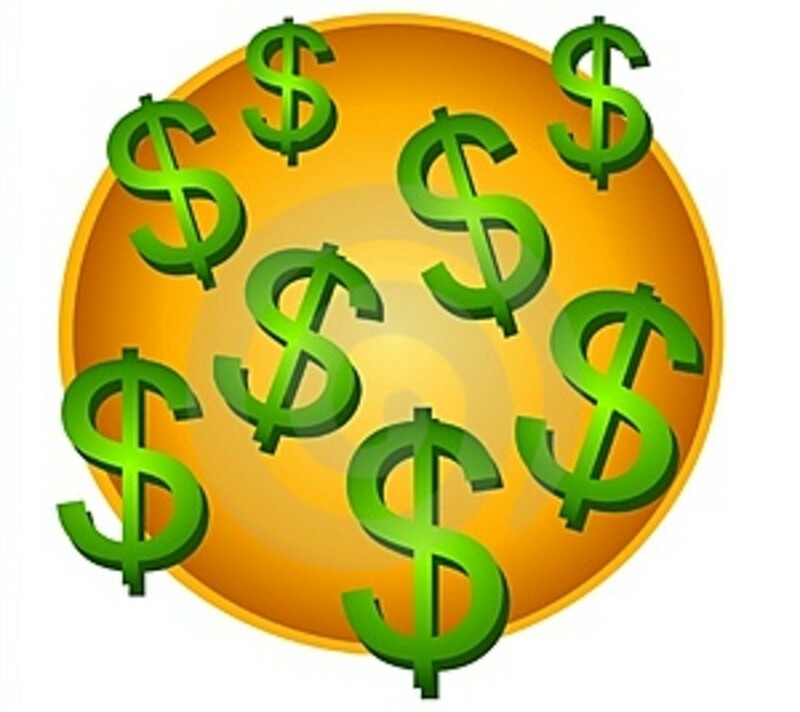 Thanks for an informational hub about earning on Hubpages. In all honesty, I think it's evenly split between people who like my advice and people who don't. It's blessing to have someone like you here on hubpages. Your words of encouragement no doubt has changed most of us to be a good and focused writer. I say a big thank you for compiling this informative hub. Great advice for new Hubbers -- Thanks Relache! Audrey, it did. Thanks, again. Audrey, I'm glad my Hub works so well for you. I have often said I build Hubs for myself and hope they work for others too. I like to follow experienced authors. There is no substitute for experience and experience makes a man or woman expert. Voted up and shared. Very informative hub. Thank you for the inspirations, I receive from your hub. Useful and noteworthy tips. I though of spreading it for more reach and hence shared among my followers. Your experience and expertise well reflected in this hub. If one seriously follows these grips tips definitely he will improve and succeed in the highly competitive world of online writing. Tehgyb, I'm glad to be of help! And good luck! This article has single handedly reinvigorated my will to write more hubs, and get them out there. Thank you greatly! Thanks so much for sharing and giving such detailed information! Thanks so much! I want to get serious with writing on this site, and your hub is providing me with much to think about and apply. I really appreciate your sharing your earned knowledge! I'm not a newbie, but this guide was very helpful for me. Because I'm starting again with a new push on Hubpages, I needed a kick in the pants to figure out exactly how I want to do this thing. Now I'm a lot more confident, so thank you! Very informative and a clear explanation of how Hubpages works. Thanks for a great hub. Nice to hear from someone with such a long affiliation with hubpages. I've now gone on to read some further links as well as noting how you yourself have put together your hubs. I've heard a lot about the "glory days" of HubPages. I hope HP hangs on. Good advice in this hub. I started here two years ago. It has evolved here so much with policing Hubbers and to make sure we do a better job as writers. Initially I was drawn to the idea of making income. It is not easy, if writing is not your passion. It took a year of writing and learning. I am still learning as things change and we get alerted to fix our hubs. Just because Amazon tells us what hot deals are, doesn't mean a writer will be passionate about writing about it to make money. I can't write what I am not interested in. I like to write what I have personally experienced or observed, which can be limiting. I haven't had much to say lately, but hope to after I open my men's salon. I have made passive income and I enjoy it. I think what I love most is connecting with people who share similar interests and have learned from others just being a part of the community. I actually think it is really hard to make great money to live on here. You have to know and pick key words for titles to get searched.The topics have to resonate with millions of readers to get hits. You have to be a great photographer or video person and shoot original art. You have to be a an editor, which I am not. Hub pages provides the tools, but the writer really has to want to write and be a master to make money here. Your advice is helpful for many who want to be here full time. Thanks. It's called making anchor links. You link to the different modules, which you can find if you know how to read HTML code. Very nice hub! How did you get your "Table of Contents" to link to specific spots on the same page? Thank you Relache for these great tips. It gives me motivation to know that you can be so successful on HP. You have almost opened every chapter of earning through hubpages. Very nice and informative hub. Since I'm still relatively new to HP, I appreciate insight from veterans like you. Thanks for sharing your experience and some great stats! Excellent hub. I learn so much from hubpage advice articles so thank you for sharing your experience. I had bookmarked this Hub long ago, and today when I had a few extra minutes I went back to reread it. I value your wisdom very much in the ways of HP and how to be successful here. Voted UP and shared again. I love the data you're assembling here. It might also be interesting to know how many hubs people have written. Either way, this is useful, candid and food for thought. There is a wealth of information here, some reinforced what I was aware of and some of it new for me: Either way, helpful. 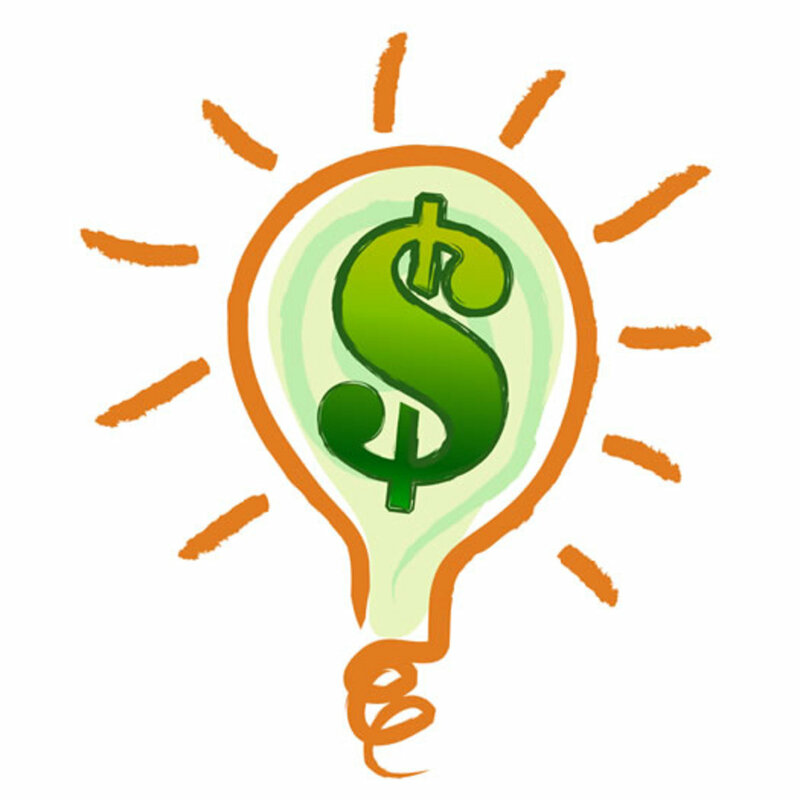 It is good to know the potential for making money too: Looks like, like all things, it requires thought, time, and work. Thanks for sharing your knowledge. This definitely helped! Thanks very much for a comprehensive write-up. Wow! Sharing this one to my followers. Thanks! More and more I'm appreciating the veterans on this site for leaving a trail worth following. I appreciate you taking the time to write this, it's been very informative. I'm still in the baby steps phase right now. Hoping to get off the bottle and on to some steak soon. Voting up! Just put the anchor links of the specific capsules (found by reading through the raw source code) into a link capsule. You packed a lot of useful information in this hub. I have been wanting to learn more about the ebay capsule and how I measure up to others who have been here around the same amount of time. Your insight and research has helped me get a much better idea of both. Thanks for sharing. This is an amazing hub. It has a lot of great information that I will be using right now. Thanks a lot for sharing the knowledge. I enjoyed your article. I am working on the marketing aspect and writing more articles. Thanks for the information. How did you do your table of contents like that? Wow, I may have to re-read this a few times to get the full benefit from it. Great advice. Thank you for sharing. Voted up! Good morning, I had a very long break away from HP, and wrote here and there for other sites in my spare time. I much prefer HP though, after testing so many other sites over the years. I am now writing full time, so I appreciate the details you have shared in this hub - the rules change and I agree it is important to keep up. I took up the 30 day challenge when I returned, but decided that fixing and/or getting rid of my 'snoozers' was going to be my main priority. It has helped, a lot! 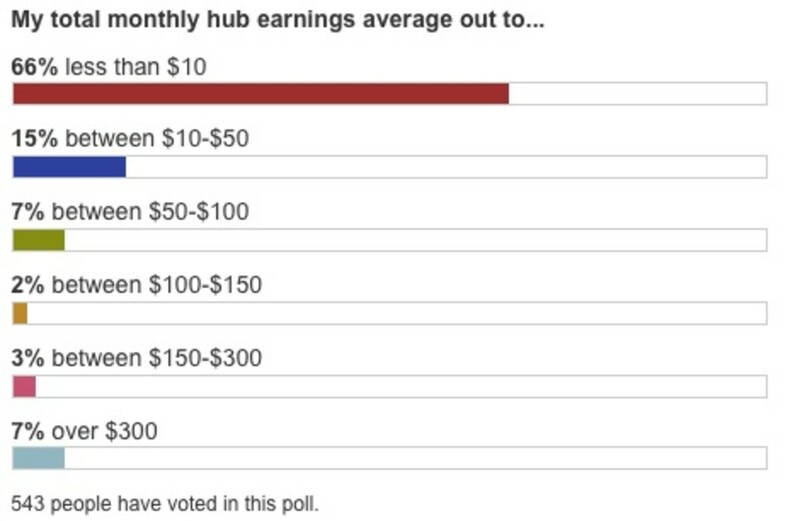 The arrangement of this hub is worth studying like the use of tables and graphs. I like how you did your Hubpages Table of Contents. It seems I've been "penalized" recently for linking to hubs that weren't completely on target with the hub I was writing about (although, I disagree). So here it seems all your links are on target with your main topic? Nicely written and arranged. Also, I like how you point out that HP is different than other writing sites -- like magazines are different from each other. Tobint44, Originally when there was just AdSense, you could track earnings by Hub. However, it's been a year and a half since the HubPages Ad program debuted, and no matter how much people ask for individual stats, there's not even been so much as a comment from admin. So I don't think we'll see anything more specific anytime soon. Great information hub for a newbie like myself. I enjoy writing and find it an escape. HubPages provides an attractive program for content writers like myself to write and potentially earn from out writing. I wish there was a better breakdown of how the HubPage ad program paid. I understand the importance of page impressions, but when you just see a number it is still unclear. Thanks again for the great content and excellent writing. This is a great hub. I wrote several hubs and then walked away from Hubpages almost two years ago. Just last month I dusted off my old hubs, found that nearly 5,000 people had viewed my abandoned hubs in two years, and proceeded to clean them up! I've since written a few more new hubs and feel like I'm back in the game! Thanks for the great info. oh, my motivation of sharingmy poems and other writings on hubpages dwindled simply because i didn't know how to attract more readers, followers and how to earn more money; that despite reading many hubs about it. thanks for this hub. Wonderful hub! I am just new with hubpages so I spend more time reading on how to make the most of the system. Thanks to this hub, I have gained some more information. Some of the users are here for the monetization stuff and they thought that they could make huge income after spending a few hours here. I am here to earn as well, but reading other people's hubs (such as this) gave me insight that it may take some time and effort before finally earning enough. Thanks a lot for writing this informative hub relache. I have a lot of work to do but at least I now know what to do to improve my hubs. I am grateful for teachers like you. Hi Rae. This is probably the most comprehensive HubPages "How to" that I have read. Just loaded with useful info and tips. Thank you for putting this together. Bridalletter, followers do NOT boost your income as fellow site users are the least likely to click on ads, due to rules barring them from doing so. The thing that will get you the most earnings is a strong and steady stream of organic traffic from search engines, and for that you need a good-sized bunch of high-quality Hubs. Highly useful points and help. One key thing on your improved income is you have a large following. I think the following improves your earnings faster than having a certain number of quality hubs. I know I use some of your steps already and that is great, means I am on the right path to reach the same goal. I am just trying to get there faster if I can. Truly one of the most useful hubs for making more money on HP. Vey worthwhile for all of us. This is a very useful hub with a ton of information. It has even more than a ton of information, it has everything you need to know and then some. Thank you for taking the time to put this all together and share it with us. Thanks for all the tips. Now I get to go implement them. I have been on HP a long time but still have a lot to learn and have trouble figuring out how best to earn on HP. So inspiring to see how you worked each stage in achieving these figures. There is a consistency in your work. Very useful hub to help us apply the same formula. Thanks everyone, and welcome to all who've found this Hub. I especially thank you if you took the two polls at the top of the Hub. That data has been so interesting over the years and I hope to keep sharing it with you in the future. A ton of helpful information written very clearly and very easy to understand. True you've worked at this for a long time, but you're also a very talented writer and communicator with that all-important business sense. I aspire to create content that's as relevant to making money and as clearly written as you do. Thanks for taking the time to help out us all - been hopping your hubs all morning! Voted Up, Interesting, and Useful!! I am adding this link to a Hub that I published for new Hubbers!!! Thank-you for sharing your experience as well as this information!!! You have a lot of great ideas. I could improve my earnings, but I guess it's because I am not putting enough time into my marketing and writing. An excellent hub which I am voting up and sharing. Good tips, this is a very useful hub. Good advice. This is a well written and informative hub. I am surprised to learn that so many are denied an adsense account. Thanks for the info. Shared and a thumbs up! Fantastic hub. Such great advice. My hubs have suffered a huge decline in the past few weeks but unfortunately, I have not had time to write new ones. I hope to get back into it next month once I move. Then I will come back to this hub for help. thank you. Voted up! This is the first time I have seen this hub. It is outstanding and very helpful. No matter how long we are here we can all learn from eachother. I agree with your tips here. I deleted most of my Amazon capsules and traded them for Ebay capsules and this has had the biggest impact on my daily earnings. Great hub! Very helpful and inspirational! 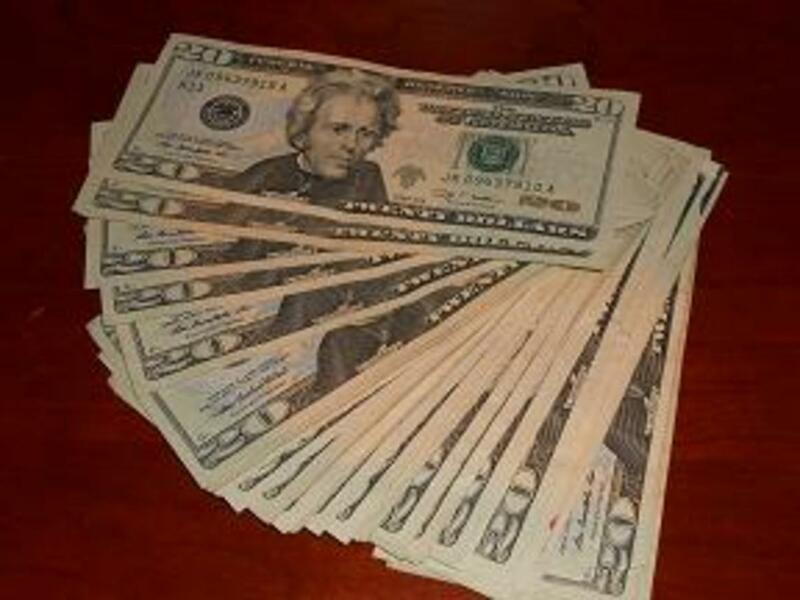 Wow, I would LOVE to make over $2000/month on Hubpages- heck, I would be happy with $50! But as you pointed out, it takes time, hard work, and dedication.